We, as health care professionals, serve the needs of the child-bearing family regardless of income, race, beliefs, sexual orientation, or disability. This is a population whom we don’t see often in our field but they are a people who have unique needs in pregnancy, delivery, and parenting. Sometimes diagnosis of disability comes with birth of a child with special needs. We are with the families when they learn, process, and move forward with diagnosis that were not expected. Disability may refer to any number of types of impairment, including physical, cognitive, general mental health, or social (Centers for Disease Control and Prevention [CDC], 2017). The CDC estimates that with this broad definition, over 25% of U.S. adults have some form of disability. The prevalence of significant disability in the U.S. is more than 12%, and this group experiences disparities in access to health care and public health services support (Krahn, Klein Walker & Correa- De-Araujo, 2015). 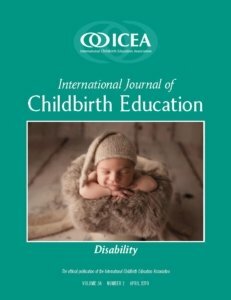 The World Health Organization (WHO) estimates about 15% of the world’s population or 1 billion people, suffer from a disability, with disproportionate effects on women, the elderly, and the poor (2015). 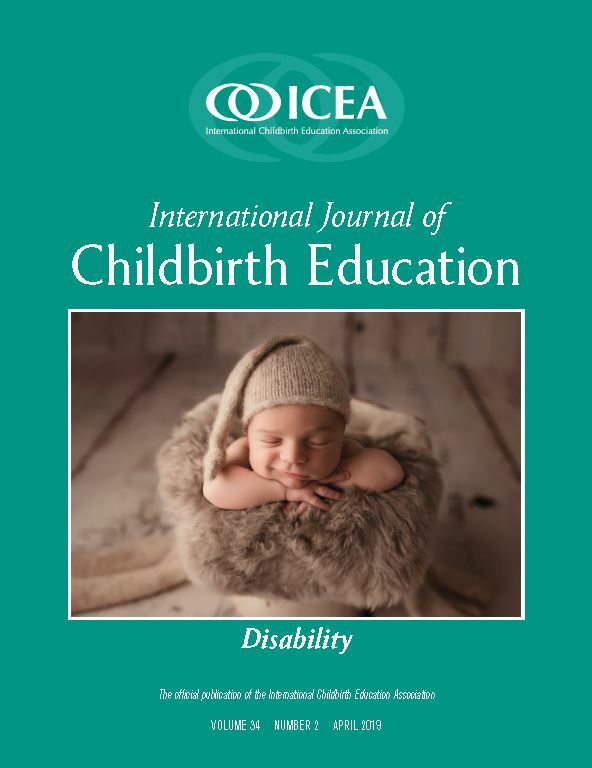 Please view our journal to read the full article and other articles in this quarter’s International Journal of Childbirth Education. You must be logged in to your account to view the Journal.